Happy Tuesday everyone! How is your week going? It's finally starting to hit me how close we are to Christmas! This Friday evening my roommate and I are throwing a Christmas party, so I'm spending most of my week prepping our apartment to host many of our friends over for that. 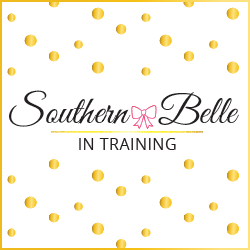 I also have a fun holiday cocktail party for Charlotte bloggers on Wednesday evening to attend. This time of year brings so many fun events! This was an outfit that I wore a couple weekends ago, and I think it will be one that I'll wear again soon. 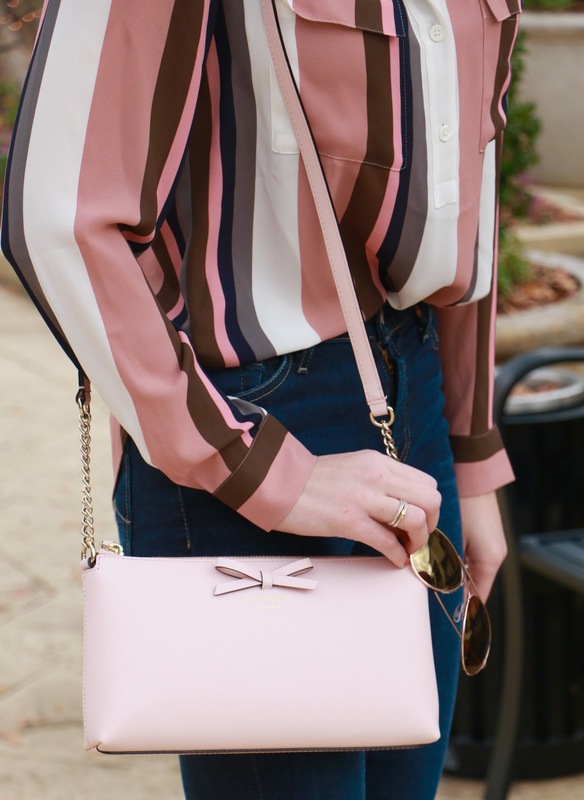 My top and purse were Black Friday week purchases, and with the pastel color scheme I'll definitely be able to transition both of them easily into spring outfits. 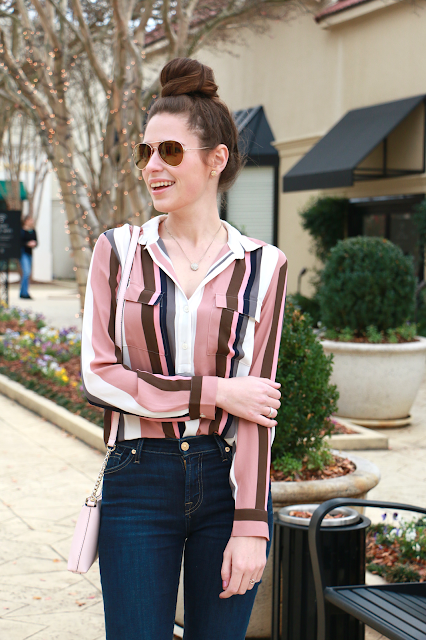 I am seriously obsessed with this striped top! That palette of stripes is so beautiful and feminine! Love your top bun too! Your top is so cute, it has total retro vibes! I love it! What a cute look! Loving the top knot too. So cute! Love that striped shirt! Your hair is #topknot goals for me right now! You are so pretty in pink! Can you please do a tutorial on your amazing topknot?! like a pink candy cane! Love it! And I second Greta's topknot tutorial request! Love this outfit esp. the high waisted jeans! I tried the link but it's broken; where are they from?? Oh my goodness your top knot is perfection!! You are the CUTEST! I am obsessed with this look! 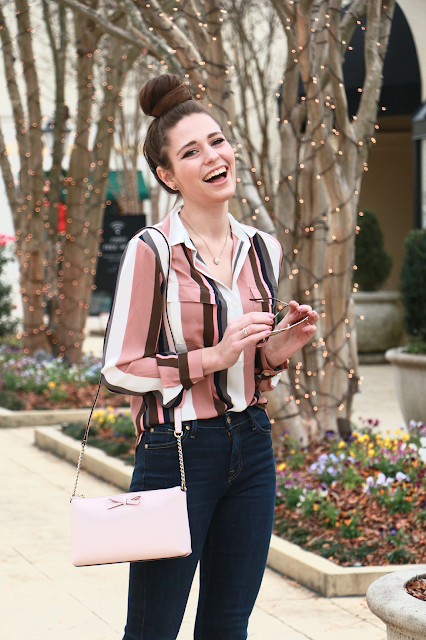 That top is so fun and you literally have the most perfect top knot I have ever seen! Love it! Love this look and especially your hair in a bun!! I am loving your accessories, the bag and the shoes are too cute! Love that bun on top of your head. It looks too perfect! Freaking love this outfit, girlfriend! Love this look! It'll definitely be perfect for transitioning into the Spring!